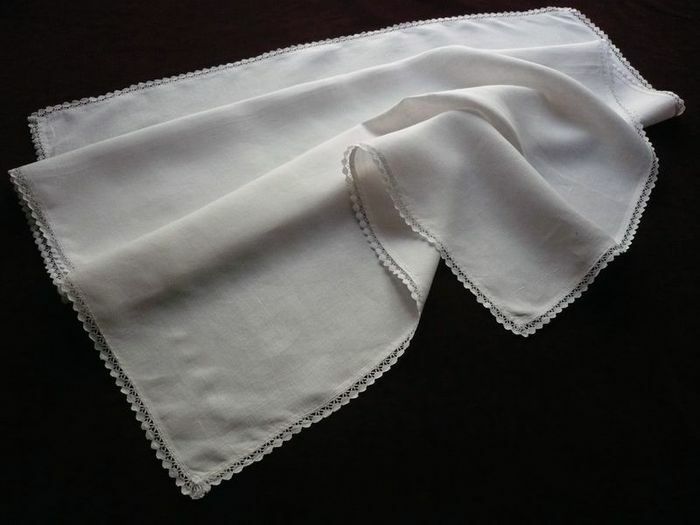 A delicate and lovely infant cover loomed of a very fine eggshell white "fil de lin" linen. A very fine lace resembling tiny shells borders the entire piece. This simple and beautiful coverlet is extremely soft to the touch and airy, ideal for a crib, bassinet or stroller in spring and summer weather. Impeccable condition. Dimensions: 42.5 x 31in.